Have you ever wondered whether it’s bad to close a credit card? Or perhaps what you can do to improve your credit score? I saw first hand how important having good credit can be, and want to share some best practices with you. You see, growing up, my parents never had a good grasp on credit. When it came to car loans they would often end up qualifying for terrible terms (18+% APR with 72-month terms). I vowed to make sure that I wouldn’t fall into the bad credit trap. As a teenager, I researched extensively on how to build credit so that when the time came, I could have credit work for me instead of against me. When I turned 18, I got my first credit card (thanks to my income from working at McDonald’s), and since then have continued to build my credit knowledge! This article will clarify some of the most-asked questions when it comes to credit cards and credit scores! Not sure why this matters? Read our article on why your credit score matters. The difference between bad and good credit can be tens of thousands of dollars when borrowing money to buy a home. Before we answer if it is bad to close a credit card, you’ll want to understand how credit scores are determined. Of these factors, the most important are Payment History, Credit Utilization, and Average Age of Accounts. If you want to really dig deep, read our article on credit scores to learn even more. There are many reasons why you may want to consider closing a credit card account. For example, a new credit card may seem like a great idea, but as time passes you may realize that you might not have a strong use for it any longer. But a lot of people are afraid of hurting their credit score because they aren’t sure if it is bad to close a credit card. As long as your payment history is positive (no late or missed payments) and your credit card utilization is not significantly affected, you can rest easy knowing that closing the credit card won’t significantly change your credit score. So while it’s not necessarily bad to close a credit card, here are a few reasons why it may actually be an amazing idea. The single most important factor when deciding if you should keep or close a credit card is your debt. If you have high debt (or any credit card debt) or struggle with paying off your credit card in full each month, this is a red flag and is a strong indication to close the credit card. It’s also a huge sign that you need a budget. Credit cards are often used to buy things before you have the money. This is a nice way of saying that you simply cannot afford it. If this sounds like you, having a credit card is the perfect way of trashing your credit score. It can be something as simple as you no longer use the card anymore and you would rather close the credit card account rather than deal with any potential issues that can arise in the future; One such issue is credit card fraud if you aren’t being vigilant with the account. Although banks and credit card companies have become extremely good at detecting possible credit card fraud data breaches are becoming increasingly common. For this reason, credit card companies provide protection by ensuring that any fraudulent transactions aren’t your responsibility. Despite this assurance, any instance of credit card fraud is still a pain in the neck to resolve. In November 2018, Marriott, the world’s largest hotel chain recently reported that hackers were able to gain access to information on 383 million customer accounts (down from their initial estimate of 500 million). Some of the breached information included access to credit card and even passport information. So, if you’re not using your credit card and prefer to avoid the hassle of ensuring it isn’t compromised, it might be time to simply close your credit card account for peace of mind. The good news is that the major credit reporting bureaus are now mandated by law to allow you to freeze your credit for free. Other times, you might find that a particular credit card used to benefit your needs, but you have since outgrown them. This can be particularly relevant if you’re just starting out in your credit journey and opened some credit card accounts that were secured (meaning you provided a deposit) or had annual fees attached. In 2016, credit card companies made $163 billion on fees and interest. Yikes. The bulk of that came in the form of interest income over $63 billion! Paying interest on credit cards is also something you should avoid given that they often charge rates in excess of 18%. (Read the paragraph further down in the article to make sure you know the difference between paying your account by the payment due date and paying by the statement closing date). In terms of secured credit card accounts, they often won’t grow with you as the limit will be set to the amount that you deposited although there are a few cards that “graduate” and become unsecured. This means that they will return your deposit after a certain time period such as Citi’s Secured Card which can unsecure after 18 months or the Discover It Secured which can become unsecured in as soon as 8 months. How Will Closing My Credit Card Affect My Credit Score? When you’re deciding whether it’s time to close a credit card, the most important metric is actually your credit utilization. Say you have a card with a limit of $5,000 that you’re thinking of closing and you also have another card with a limit of $5,000. You currently owe $1,500 on the $5,000 card and owe nothing ($0) on the $5,000 card. Your utilization is $1,500/$10,000 = 15% (below the 30% recommended threshold on a total basis and 30% on the $5,000 card). 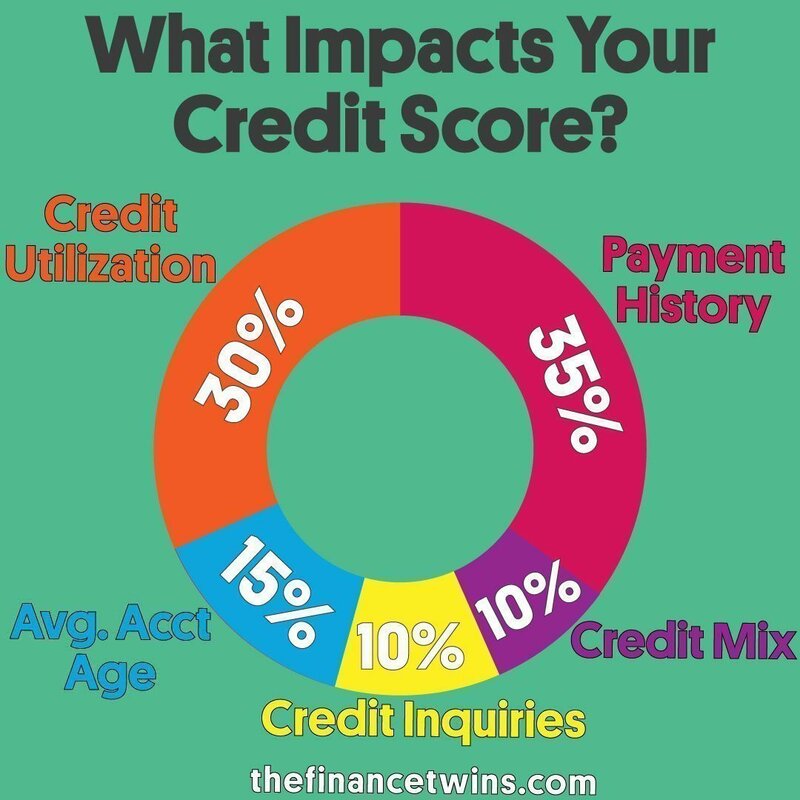 When you decide to close the first account your utilization will go up to 1,500/5,000 = 30% which can result in a lower credit score since your utilization went up. If you owed nothing on either card, then your utilization wouldn’t be affected by the closure $0/$10,000 is the same as $0/$5,000 for scoring purposes. In this last scenario, closing your credit card will not negatively impact your credit score. Protip: A large percentage of people don’t actually know the difference between a debit and a credit card. If you’re not sure, that article is a must-read. FICO scores are generated by the Fair Isaac Corporation based on the information on your credit reports from the 3 major credit bureaus. The 3 major bureaus are Transunion, Experian, and Equifax. These scores are used in almost 90% of credit decisions. FICO takes the average age of all accounts (both open and closed). So, while closing the account means it won’t continue to age, all of that account’s history will remain on your credit report for up to 10 years. The bottom line is that for most people it will not make that big of a difference, but it could if the account you are closing is significantly older compared to your other accounts listed on your credit report. FAKO scores, also known as education scores, are those that you can usually obtain for free from sources such as Credit Karma. The score itself isn’t typically used for credit decisions and you should use it as a baseline to understand how healthy your credit report is. The score provided by Credit Karma uses the Vantage 3.0 model which was developed by the 3 credit bureaus as a competitor to FICO scores, but it should be used primarily for education purposes since very few lenders will actually use this score for their decisions. Recall that FICO scores are generated by the Fair Isaac Corporation using information from the three bureaus. Fair Isaac boasts that their score is the industry standard used by “90% of top lenders” for mortgage, auto, and credit card decisions. However even this score can vary depending what type is used. There are several variations including a FICO Bankcard Score (used by Citi) and even propriety scores such as Chase’s Internal Risk Score. Therefore, when you apply for a line of credit it may be helpful to see which score the lender uses to make their decisions. It is also important to note that FICO scores will not generate until you have a credit history of at least 6 months. Therefore, if you’re new to credit or a student, be patient and while you might not have a credit score you should still have a credit report. The most important takeaway is to know what’s on your credit report as that directly affects your credit score. You should make sure check our credit reports annually at annualcreditreport.com. It’s the only site authorized by law to issue your credit report from the largest reporting agencies. We recommend you request one bureau’s report at a time. Do it every 4 months so that you can check for fraudulent activity on a regular basis. This is because you only get one free report (per bureau) per year. Credit Karma is also a very useful and free tool to see how your Transunion and Equifax report changes (it updates every week) and provides a very useful education score to serve as a guideline. If you want more tips on how to build an excellent credit score, check out our other article on what is considered an excellent credit score. Another free source to track your FICO credit score (specifically from Experian) is Discover’s Credit Scorecard. You don’t need to be a Discover customer to use it and it provides monthly access (every 30 days) to your Experian FICO score. Some lenders like Discover or Barclays will also provide your Transunion FICO scores on a monthly basis when you hold accounts with them, Citi provides the Bankcard FICO. Another piece of useful information was understanding how your due date can vary from your statement date and how that affects your credit report. Your due date is for the prior month’s statement while the statement date is for the current month. It is important to know the difference between the two as you can utilize them to save yourself money. Paying your last statement balance by the “payment due” date will ensure that you do not get charged interest on the unpaid balance. This is extremely important as interest rates on credit cards are crazy high. Paying your current statement balance by the “statement closing” date will ensure that a low(er) amount gets reported to the credit bureaus (see paragraph on credit utilization above). This is because credit card companies typically report the statement balances to the credit bureaus. Did this article answer your credit questions? 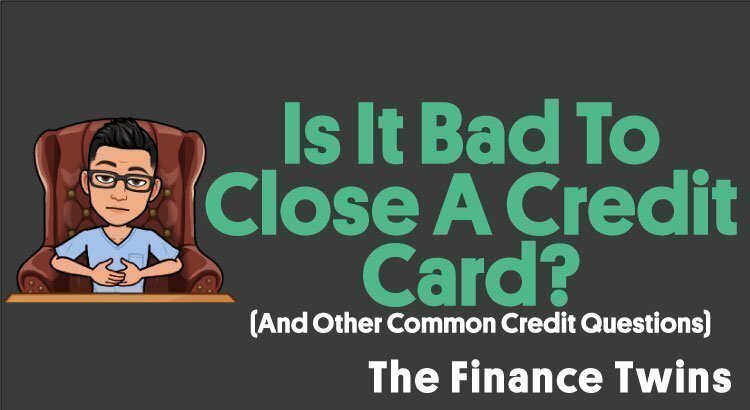 Do you now understand if it’s bad to close a credit card? Let us know in the comments below! About the author: Ernie Rosales is a student at the Wharton School of Business at the University of Pennsylvania. He’s an expert on credit cards and credit scores. I have a question, If you have bad credit.. How can you rebuilt it? Yup, exactly what Robert below said. If you have poor credit stop using credit cards until you have your debt under control. Pay everything on time. Focus on saving money and living within your means. Also, review your credit report to make sure everything is accurate. Good luck! Hey Patricia – Repairing your credit is easy. Pay your bills on time (actually I started paying all my bills one week early) and stop using your credit cards or taking out additional credit. I know, I know it sometimes is not easy to do that. You need discipline with your budget. (Spend less than you earn) Save up a small emergency fund and budget to keep replenishing it when needed. Work at it one month at a time and you’ll have a great credit in no time.